Chemical analysis to help identify medullary bone preserved in the femur of a Tyrannosaurus rex from the Museum of the Rockies may help scientists to probe deeper into the evolutionary relationship between living Archosaurs (birds and crocodiles) and their extinct near relatives the Dinosauria. Using a chemical test to identify the tell-tale traces of keratan sulphate (a long-chain, complex molecule), a component unique to medullary bone, scientists may be able to shed more light on the evolution of egg laying in extant Aves (birds) as well as having the handy side-effect of being able to tell the girl dinosaurs from the boys. An illustration of a gravid T. rex. Medullary bone chemical analysis provides new data on egg laying evolution. Researchers from North Carolina State University and the North Carolina Museum of Natural Sciences have confirmed the presence of medullary bone in the thigh bone of a Tyrannosaurus rex from Montana. 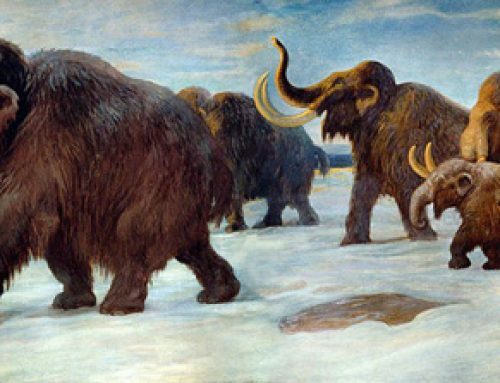 Amongst the scientists who authored a paper on this study, is Dr. Mary Schweitzer (Department of Biological Sciences, North Carolina State University), who has caused much scientific controversy over her research into the possibility of recovering organic remains from long extinct creatures. Medullary bone is laid down within the bones of female birds immediate prior to or during the egg laying period. Medullary bone has been detected in virtually all extant bird species (with the possible exception of some Passarines). The bone is produced quickly and provides a mobile source of calcium for the building of egg shells. The easy to identify bone (it has a very different internal structure compared to other bone types and tends to be less dense), has a high preservation potential within the fossil record due to the high levels of the mineral calcium within the bone tissue. Medullary bone has not been detected in those other near dinosaur relatives the Crocodilians. This suggests that the ability build up a reserve of calcium for egg-laying and to rapidly reabsorb the minerals once the reproductive need had been met, evolved in the Avemetatarsalia, one of two clades into which all Archosaurs are classified. The Avemetatarsalia include modern birds and dinosaurs, the other Archosaur clade (Crurotarsi) includes the Crocodilians, it can be suggested that in the Crurotarsi medullary bone did not evolve. As dinosaurs also laid eggs, then if medullary bone-like material is preserved in the fossil record then it can be deduced that those bone fossils that contain physical evidence of this specialised bone must represent females. Back in 2005, Dr. Schweitzer published a paper describing the research into medullary bone found in a 68 million year old partial T. rex femur (MOR 1125). However, her findings were not entirely accepted by the majority of the scientific community. If the physical evidence could be backed up by further testing to identify without doubt medullary bone then that would be a great step forward. These researchers have taken up this challenge and using monoclonal antibodies they have identified a chemical signature that relates to the presence of keratan sulphate within the fossil material. It had been previously thought that none of the original chemistry of dinosaur bone would survive millions of years. However, comparative tests using known medullary tissue from ostriches and chickens confirmed their analysis. The team conclude that the tissue from the femur of a Tyrannosaurus rex is indeed medullary bone. The picture above shows various CT scans of the femur bone from the study. Medullary bone is identified as MB, the denser cortical bone (CB) is also shown. A-D are volumetric readings, whilst E-G show cross sections. In pictures A and B, the high density cortical bone is rendered transparent to show the lower density medullary bone material. Picture E shows the density as a spectrum from high density (black) to low density (white). The bone fragment is (C, D and G) colour mapped and (F) heat mapped. Colour mapping key: (C, D, G) medullary bone equals orange/red and cortical bone is beige/yellow. Heat mapping key (F) highest density is red, lowest density blue. The sample shown in A, C, E-G is shown in cross sectional view, whereas B and D are medial views. It might be very difficult to find further examples of medullary bone for this type of chemical analysis in the tyrannosaurid fossil record as the transitional nature of medullary bone means that animals would only possess this type of bone within their bodies for very short periods. However, Everything Dinosaur has reported on the finding of physical evidence to support gender identification in the Dinosauria before. For example, in 2011 Everything Dinosaur reported on a study led by British scientists using the fossilised bones of a Stegosaur (Kentrosaurus) to establish dinosaur genders. The femur was already broken when the team from North Carolina State University and the North Carolina Museum of Natural Sciences set about their study and most palaeontologists would not want to cut open or demineralise fossils to search for rare medullary bone, however, the ability to conduct CT scans to examine internal fossil structures would greatly improve the chances of success without having to damage the fossil material. This new chemical detection method may help to split the girl dinosaurs from the boys.